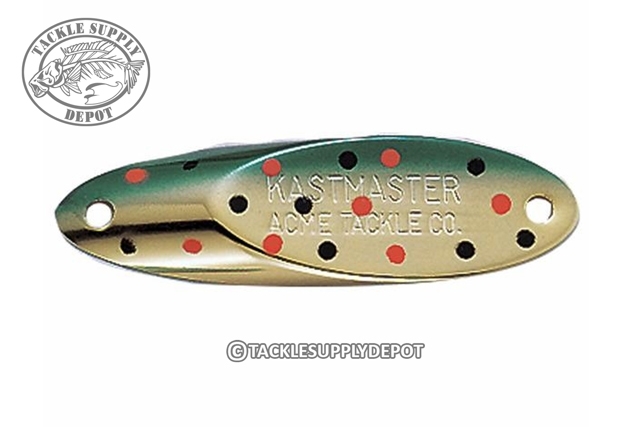 The Kastmaster's balance produces wild action and flash without creating line twist. Because of the aerodynamic design, the Kastmaster is the master distance caster, and catches fish from pan-sized trout to bragging-sized stripers, fresh to salt water. The Kastmaster is precision machined and will not break, bend or corrode and it retains its luster even after repeated exposure to salt water.